Bertsch Liverpool: The Bertsch Liverpool Log Cabin features a very useful separate room 2m x 2m, in back corner, with window. The door into the internal room in this log cabin is a solid wood (i.e. no glass) door meaning that this gives lots of privacy if the building is used, for example as an office or spare room. Featuring Bertsch Holzbau's renown quality of build the Log Cabins in this range are extremely good quality buildings. 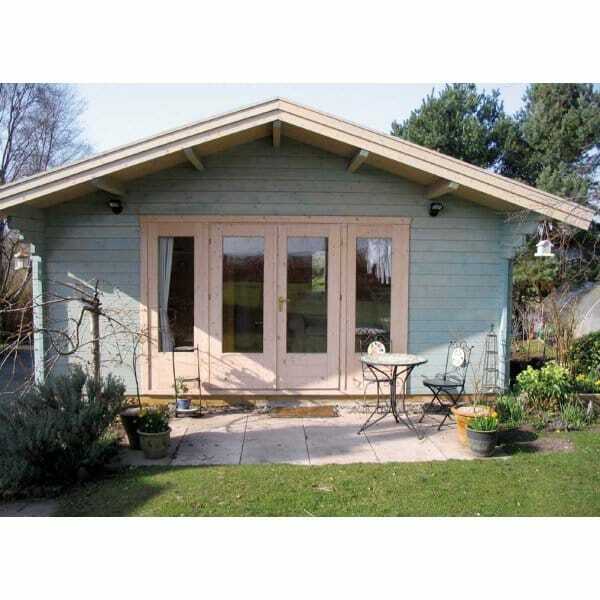 All Log Cabins in the Bertsch Range can be altered to suit your garden. In conjunction with Bertsch we are delighted to produce custom made log cabins from the ground up!